After strengthening to within touching distance of R13.60/$ on Thursday afternoon, the rand retreated again slightly on Friday. Andre Botha, senior currency dealer at TreasuryONE, said the rand's performance on Thursday afternoon came on the back of the dollar slipping against all major currencies due to dovish comments by US Federal Reserve chair Jerome Powell. 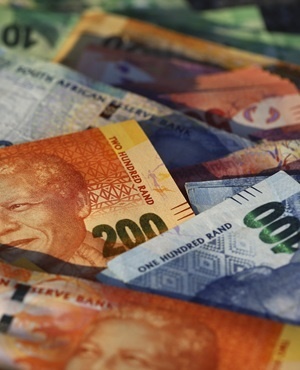 "This has placed the rand in a good position as we head into the weekend," said Botha. The local curreny opened the day at 13.66/$ and was trading at 13.72 to the greenback at 12:30. Friday will be "a light data day", said Botha, with the only trade data set for release in the afternoon. "We only expect a spike in the rand should the number disappoint massively to the downside. However, the rand could have some volatility next week as the details of the G-20 summit get released, and (depending on) whether US President Donald Trump relaxes his stance on tariffs with China," said Botha. According to NKC African Economics, the rand is trading at its strongest level against the dollar in more than three months. Emerging market debt concerns have taken a back seat to falling global equity and oil prices, it said in a morning note to clients, which has eased expectation of higher global inflation and interest rates. NKC has an expected range on Friday of between R13.55/$ and R13.85/$. According to Nema Ramkhelawan-Bhana of RMB, the rand's strength is strongly correlated to gains by emerging market currencies. "The mere mention of the Fed's mildly dovish tone; its recalibration toward a more flexible, data-driven interest rate path; and the growing possibility of a pause in its hiking cycle after Christmas has elicited a dizzied response from investors, as they position for a weaker dollar and, conversely, EM gains". "The rand’s movements this week are a prime example of this behaviour. Like a proud mountaineer, the local unit has ascended to a four-month high of R13.66/$, adding to its more than 5% gains this month," commented Ramkhelawan-Bhana. "Its performance, though admirable, is only second to the Turkish lira, which has recouped 6.5% in value against the dollar since November 1." Bianca Botes, corporate treasury manager at Peregrine Treasury Solutions, said volatility would always be the name of the game when looking at the rand; however, currently it appears to be maintaining a stable performance below R14.00. "We will be keeping an eye on the local trade balance this afternoon, while next week will bring quite a bit of data as Stats SA releases manufacturing production and vehicle sales as well as the important GDP figures. Whether SA remains in a recession or has pulled out of it will be closely watched," said Botes.